(PUBWestminster/John Knox)The most in-depth treatment of this topic ever done! Going through Paul's major epistles, Engberg-Pedersen makes clear how much Paul was indebted to Stoic philosophy both for his theology and his ethics. The bold, original research has all the markings of a landmark publication. 448 pages, softcover. 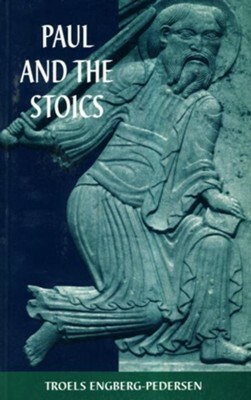 This book seeks to do for the study of Paul and Stoicism what E. P. Sanders did for Paul and Judaism. Instead of making a brick-by-brick analysis, Troels Engberg Pedersen provides the first comprehensive building-to-building comparison of how the two religious/philosophical systems functioned. The book moves through the major letters of Paul (e.g., Philippians, Galatians, and Romans), carefully documenting Paul's indebtedness to Stoic thought. I'm the author/artist and I want to review Paul and the Stoics.